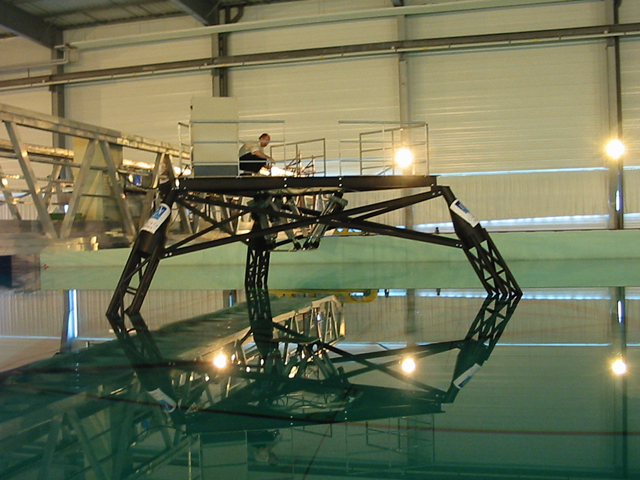 These hexapods are used by maritime research laboratories that study the hydrodynamic effects of swell, the phenomena of sloshing or cavitation for example. 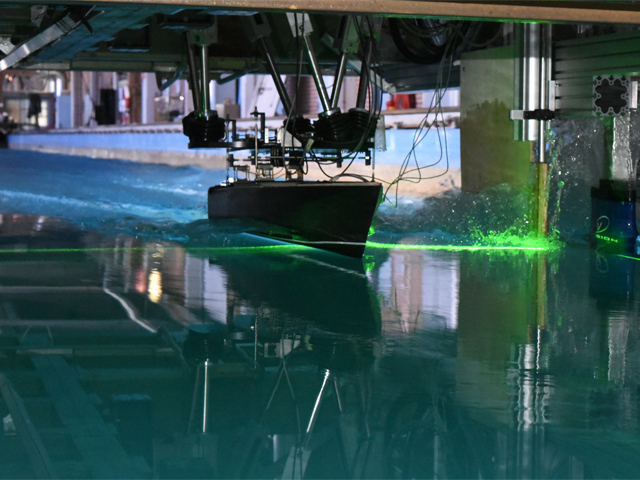 Tests carried out in a wave basin are used by a diversity of naval actors and segments, such as ships and propellers designers, renewable marine energies (floating wind turbines) and offshore (floating production units, anchored or articulated). 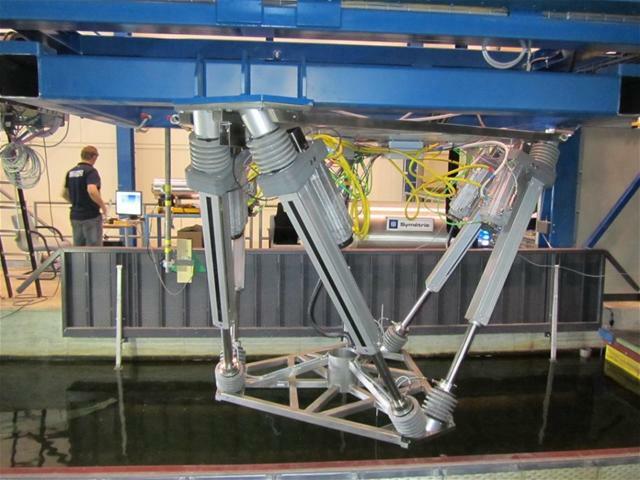 The hexapod is attached downwards to a trolley, which moves all along the basin. 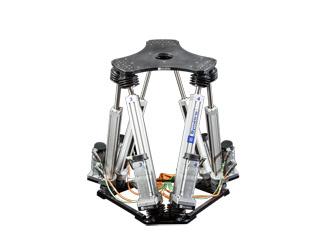 The mobile platform of the hexapod moves the ship model or any other component to be tested to apply on it the representative forces of those generated by the swell. 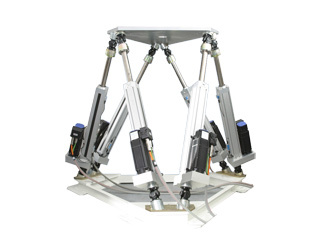 SYMETRIE realizes a wide range of motion generators for wave basins using the hexapod technology. 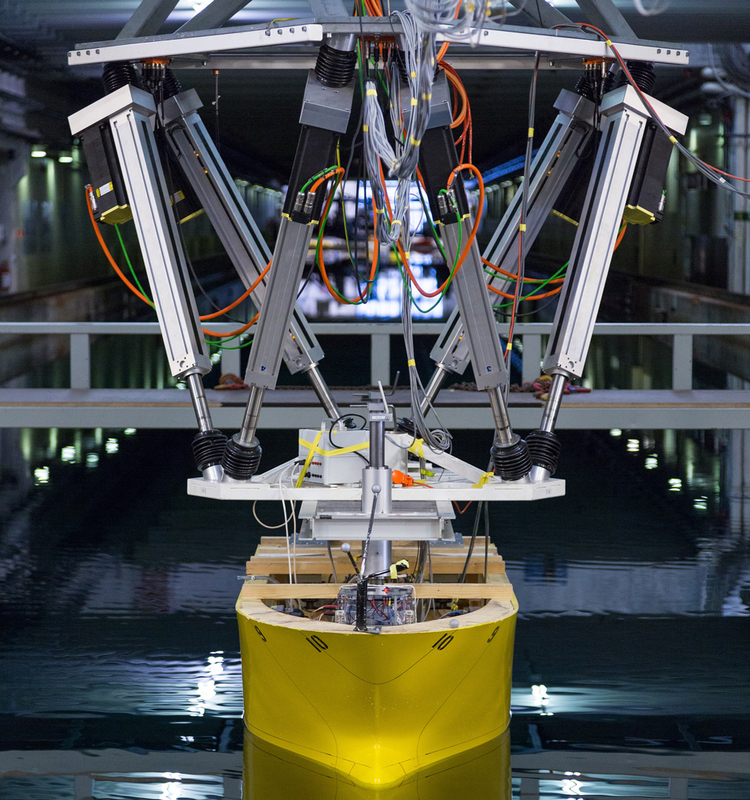 Thanks to our metrology background, the choice of this technology is even more important that it allows very real simulation with accurate trajectories in the 6 degrees of freedom. 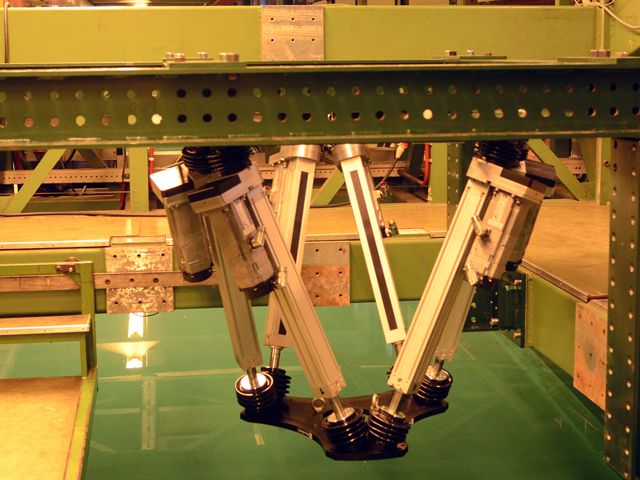 Our range of products can be easily adapted to your special needs regarding speed, actuator travel range and payload.